Great to see everyone again! We got off to a good start, with some good weather, good food, good music, and a good run. If you missed out, be sure to come next week. Same time, same place. If you are new to this blog site, see the links to the right for race information. Also, check out the results for this week's run. We've got a new shirt design for this year, one you are sure to like, featuring the ever-present Rocky Brook Road buzzards. It's a good quality wicking shirt that I will sell at cost, looks like maybe $16 or $17 each. See below. I'll take orders for a few weeks and then we'll print them in June. 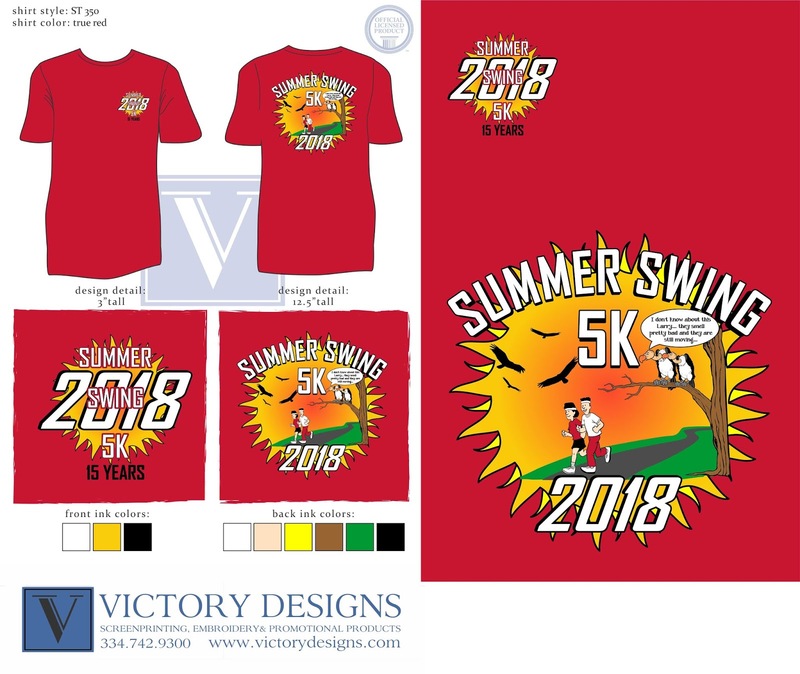 2018 Summer Swing 5k Run Schedule Set!